We’re connoisseurs of great Chrome extensions here at TNW, so Google’s latest was an instant addition to our browsers. 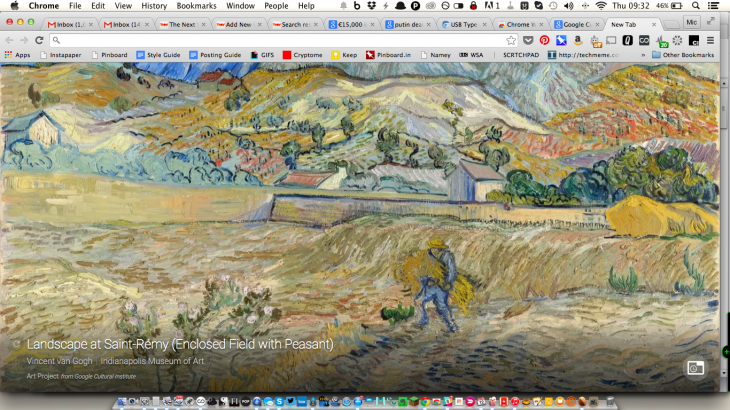 Google Art Project, developed by the Google Cultural Institute, puts fine art on every new tab you open. The extension shows great artworks from the collections of museums and galleries around the world. Don’t worry about losing your access to your frequently visited sites either, they’re just a click away using the icon in the bottom right hand corner.